Iain Banks’ Fiction Factory: The Third Scots Whay Hae! Podcast… | Scots Whay Hae! In the third Scots Whay Hae! podcast we work our way through the life and work of Iain (M) Banks. The focus is mainly on his mainstream, for want of a better word, novels but we have Alex Scroggie on the phone to help us contextualise this work with his science fiction. Many of you may feel that we do not deal with the (M) material as we should, but, as the running time ends up well over an hour and fifteen minutes, well time, and a lack of knowledge, was against us. As usual we would love to hear your thoughts on what we have to say, even if it is only to tell us that we are peddling mince, but I hope you’ll find it interesting. You can listen to the podcast, and subscribe to it, at Scots Whay Hae! podcast at itunes or Scots Whay Hae! podcast by RSS. The next podcast should be the long promised rammy where Chris and Ali are joined by Ronnie Young to come up with the top five Scottish novels of all time. Feel free to get your choices and heckles in early, and again they may get a mention. Sometimes a writer comes along who is difficult to categorise, who doesn’t fit easily into any genre. Iain Banks is one such writer. Of course as Iain M. Banks, his other writing title, he is an out and out sci-fi novelist, but even that isn’t as clear cut as it at first appears. He is a writer who loves to confuse and confound and I think it will please him to be so hard to pin down. He is, to use the title of one of his ‘M’ novels, ‘The Player of Games’. For Banks, life is an absurd game that we are all forced to partake in, a compelling puzzle that may have no solution, and this is reflected in his fiction. This is a difficult book to discuss in the usual fashion. 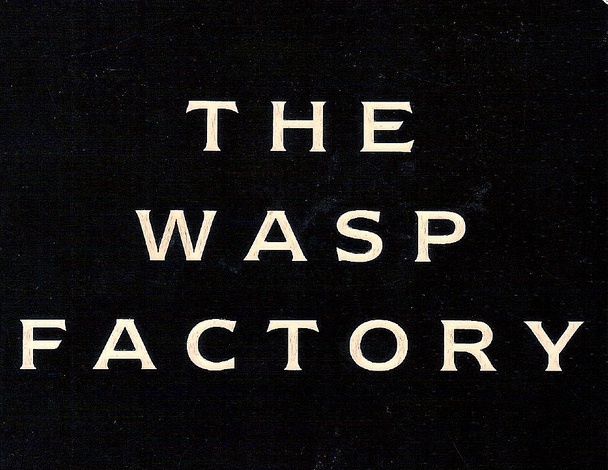 Normally when I talk about a novel I would mention the actual text and plot but ‘The Wasp Factory’ contains a spectacular twist which I worry I’ll spoil by talking specifics. I can say that it is about an unusual family, the Cauldhames’ who live on a small Scottish island and that ‘The Wasp Factory’ of the title is a device built with the specific purpose to torture and kill wasps while trying to predict the future. The rest I’ll let you discover for yourself. If this seems odd then you’ll have to read the book to understand why. In a way this is the ‘The Usual Suspects’ or ‘The Sixth Sense’ of Scottish novels. Like those films the twist at the end of ‘The Wasp Factory’ is not the key to enjoying the book, but it does force you to reassess what you have just read. It’s no exaggeration to say that when I read it for the first time I went back and started again to see how many clues I could find. I still read the last chapter if I have a spare 15 mins as it is an incredible piece of writing. ‘The Wasp Factory’ was Banks’ first literary puzzle. In very different way Iain Banks is as much of a social commentator as James Kelman. 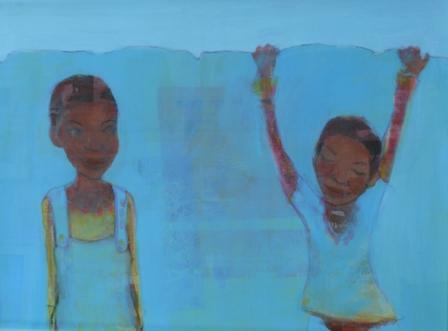 Both write to bring attention to perceived injustices in the world, and attempt to move the reader into action or at least empathy. If you’ve avoided Banks because you thought he was ‘fantasy’ or ‘sci-fi’ then I would ask you to reconsider. Just because a writer can spin a good yarn doesn’t mean that they’re not important and worthwhile, something we often seem to forget. Iain Banks; ‘he means it, man’. Pingback: Away The Crow Road: Iain (M) Banks (1954-2013) | Scots Whay Hae!